The Flame Princess is Running a Sale! Lamentations of the Flame Princess is running a sale on all of it's PDF releases on RPGNow. Jim can be a larger (and louder) then life personality, but he has more then his fair share of gems in his collection. Help yourself before December 10th, when the regular prices return. If you've been around this corner of the blogosphere, you probably already know about the Bat in the Attic blog. You might have missed his utterly awesome sandbox campaign setting: Blackmarsh. 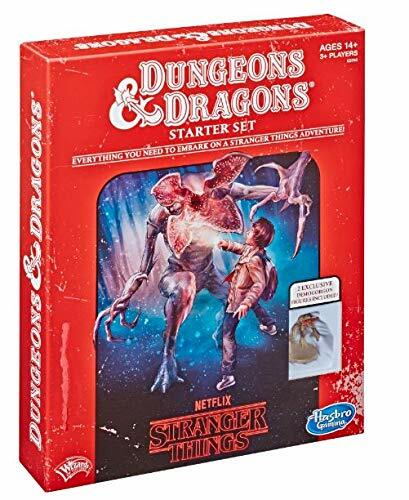 It's free, works well with any of the OSR games (and probably even the newer stuff the young kids are playing these days. If you don't have it already, grab it now. Really. Right now. Not later, as you might forget. It's that good. Thanks to The Underdark Gazette for pointing out Expeditious Retreat's one day sale on it's Sorcery & Super Science line. At a buck a piece, I'm grabbing a few myself. And a happy 40th to the ERP man himself. Joe, enjoy the day! If you are looking for a gift for yourself, you can't do much better then the Dungeons & Dragons Classic Anthology of computer games. For less then 20 bucks, i get to replay Baldur's Gate 1 + 2 (and all the expansions), Icewind Dale 1 + 2, Plansescape Torment (one of the best computer RPGs of all time and Temple of Elemental Evil (i never finished it the first time - this time I'll instal the community hack right from the start). They've also put out a collection of all the Neverwinter 1 + 2 games and add ons. That runs 29 bucks. 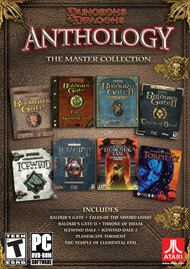 Great stuff there too, and I picked up both collections already, but I think I need to revisit Baldur's Gate first. Free, fully bookmarked, 330 page PDF on how to be a better GM. It's $29.95 on Amazon with 3 five star reviews for an oversized paperback. 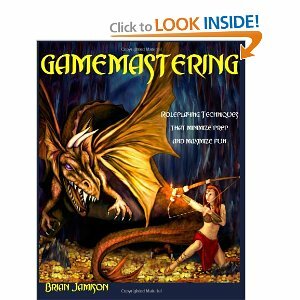 Why pay thirty bucks when you can get Gamemastering for free? Woke up to frost on the car this morning. Monday we hit 70 degrees, last night we went below freezing. When I was in High School and College, the summer months were prime gaming time. The backyard, a picnic table and endless gallons of Iced Tea kept us going for hours and hours. The winter months were the hardest on us as gamers. Besides studying and other necessary school work, walking in the cold and snow to the house we were gaming wasn't as nearly as much fun as in the summer. Canceling a game session due to cold or snow wasn't unheard of, but it certainly was painful. On the Ninth Day of free Holiday Swag, My Bartender Gave to Meeeeeee... The Hounds of Adranos for Runequest. Being that I brought your attention to Mongoose's Legend RPG, a reworking and fully compatible reimaging of the Mongoose RuneQuest RPG (alas, no license lasts forever in gaming) earlier today, I now bring you the free adventure: The Hounds of Adranos for RuneQuest (Legend). The Hounds of Adranos is an adventure for RuneQuest Fantasy Earth. Recommended as an add-on for Alephtar Games setting Stupor Mundi, it can also be played with the core RuneQuest rulebook alone. Mongoose's license for the RuneQust trademark expired yesrterday. Legend, Mongoose's new RPG built upon the bones of MRQ2 OGL, has released today. I'll post more on this after I've had a chance to read my PDF copy. On the Eighth Day of Free Gaming Swag, My Bartender Gave To Meeeeeee! Oubliette Issue 7! I missed the Seventh Day of free swag. I'll make it up later. In the meantime, Gold Piece Productions has released Oubliette Issue #7 for FREE! I don't know how they do it, but every issue is well worth the download. If you know someone who might be interested in ACKS, send them over to autarch.co! Pre-ordering before the book is widely available gets you the free PDF of Domains of War, plus access to the developer forums where we're enthusiastically developing these mass-combat rules and examining how they fit into the ACKS campaigns folks are already running using the draft rules that are another benefit of pre-ordering. Crypts & Things has gone to final PDF. Damn it! I like both of these systems a lot. Plus Swords & Wizardry Complete and Castles & Crusades. What am I going to do when Delving Deeper finally ships? Heh! I spent 2 hrs in Home Depot last night with my wife and my contractor. We picked out kitchen cabinets, flooring, countertop, backsplash, trim for the backsplash,a dishwasher, a stain for the sliding doors and zeroed in on a new stove. Then we went out to the pub I had my reception at for a few rounds. Definitely helps that my contractor was also a guest at my wedding. Today, the kitchen floor gets installed, the old sink gets removed (and gets some cutoff valves installed too - the kitchen is an oldie), the sliding doors get stained and the archway to the living room gets painted. I Survived Black Friday / Cyber Monday - and All I Got Was This Lousy T-Shirt! Well, maybe I did a little more then that. Still, Black Friday / Cyber Monday weekend shopping usually leaves me with most of my Christmas Shopping done and toys for myself at that. This year, it was a lot less shopping on my part. Part of the reason is there is no place to put any "big ticket" items, like one of those snazzy 3d TVs until renovations are complete - the living room is where my contractor is storing all of his tools, and the wife and I have storage boxes stacked along one wall. That being said, Lulu's 30% off coupon is tempting me - CYBERTUESDAY305 can lead to some OSR shopping savings. 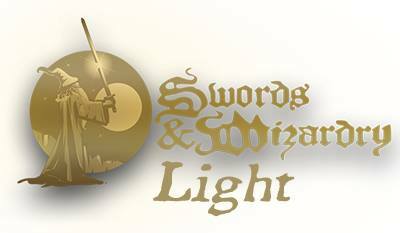 Not to mention the deals over at RPGNow. The Trolls are offering 12 different bundles of C&C goodness on their web store. The module collections are tempting me at 3 bucks per module in the bundles of 10. I've got a real itch to get a game going on a semi regular basis via Fantasy Grounds 2 / G+ (maps, dice rolling, chat and voice - perfect combo). Which means I've got about 6 weeks to figure out that I'm going to run system-wise and find or write an adventure and put it in Fantasy Grounds format. Much thanks to the Green Skeleton Guild Blog for pointing this out. The Atomic Highway is an amazing post apocalypse RPG that was Ennie Award Nominated. Besides that, it's just good stuff. Oh, did I mentions it's now free? I've been reading Zak's posts (and associated comments) from the last few days and the numbers are fairly depressing. 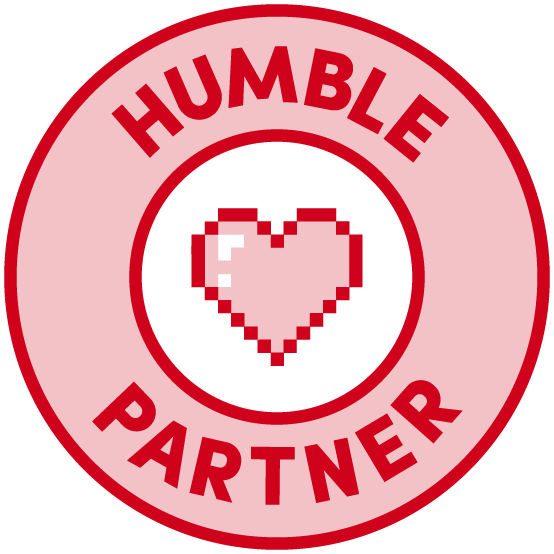 It seems that getting paid a fair amount for your work in this corner of gaming, whether writing or artwork, is pretty much the exception. That's a damn shame. If you blog, you probably do so due to some frustrated creativity that needs to come out. I know that's part of the reason I'm on here. Heck, at some point, I'd like to write gaming material for a profit. I just don't think I can afford to do so at this point. 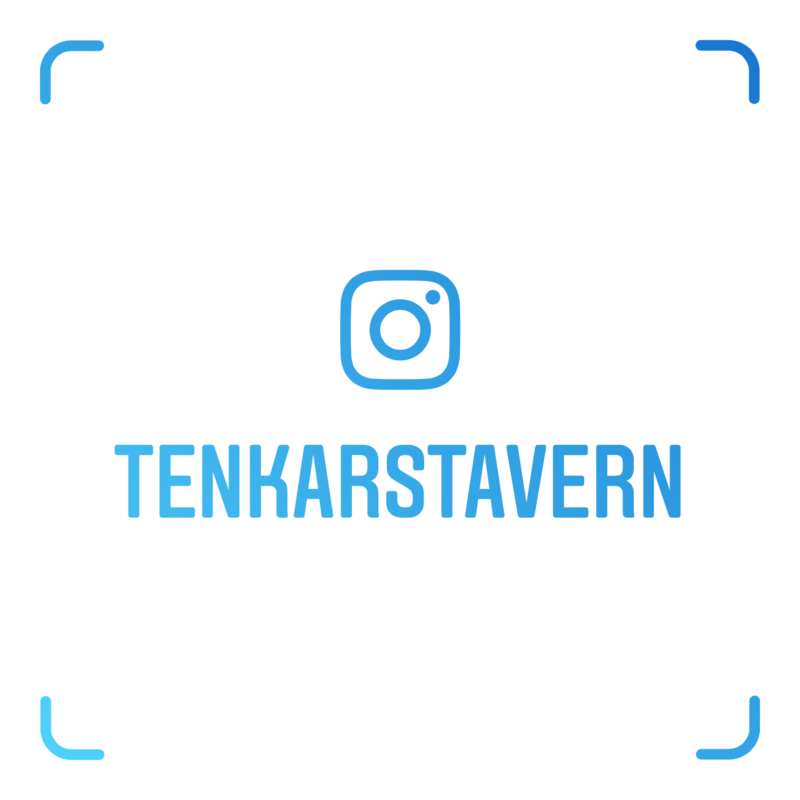 And so I blog. Those that can make a living with RPGs, God bless you. Those that can make beer money with RPGs, may God bless you even more, as you do it for love of the hobby and that is a beautiful thing. 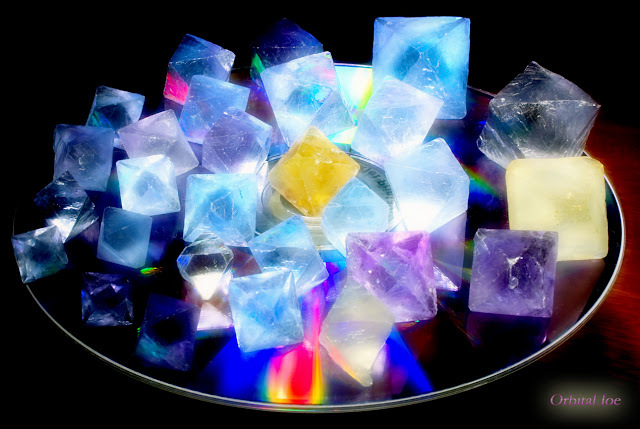 As for Zak's nut job project, I'd actually enjoy seeing whatever results I can come up with for my Fluor-Eight RPG System, Gaming With Fluorite Octagonals. With PDQ Sharp!, you can get a feel for the rules for free.